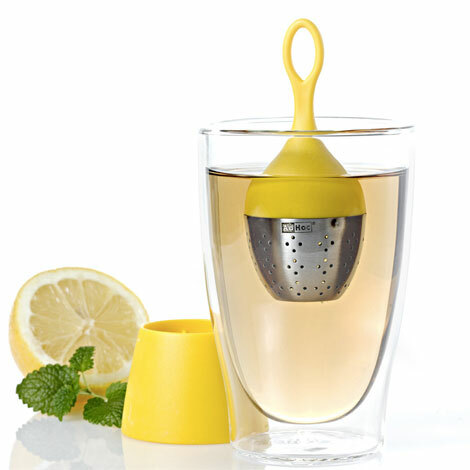 The first floating tea egg infuser, perfectly balanced. Brewing tool in stainless steel with its plastic stand to collect the drops after use. Available in five colors: black, red, green, lilac and yellow.